Vietnam: The Black Man’s Fight? 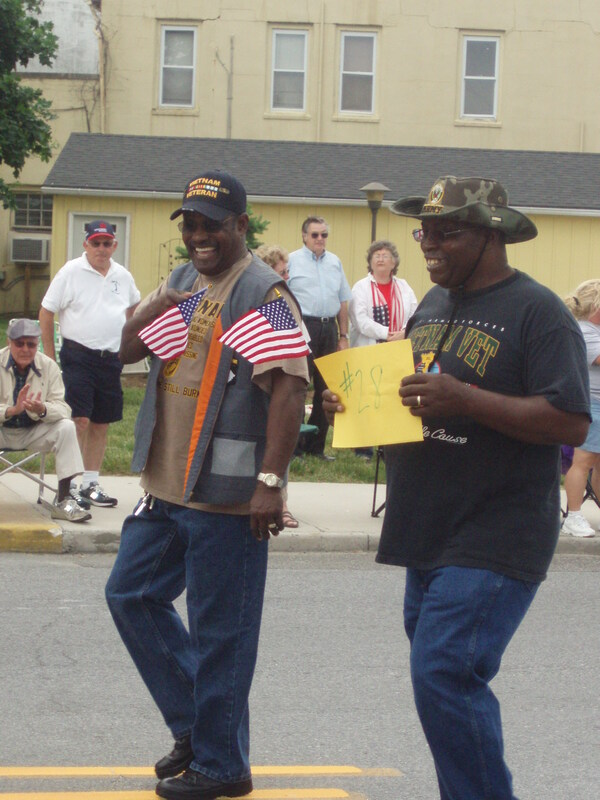 Daddy at the first welcome home parade given to Vietnam Veterans from our county…in 2010. Dr. Martin Luther King called the Vietnam Conflict (or War depending on who you ask), a “white man’s war” and a “black man’s fight.” Inasmuch as race is a facet of class (according to me), I might be more inclined to name it the “poor man’s fight” with an understanding that “poor” by definition in this country is still disproportionately colored. My dad is a veteran of Vietnam so it’s ramifications are not only interesting to me, they are personal. The role of “bloods” in the war is one that has been met with contention and for good reason: the U.S. military draft of the 1960s gathered a great number of poor, undereducated, African American boys largely due to President Lyndon Johnson’s ingenious plan—actually it was General MacNamara’s brainchild—to create more lenient physical and cognitive entrance standards for military service. The plan, “Project 100,000” or the Moron Corps as other career soldiers often named it, was implemented in 1966 and was part of his Great Society, a series of social programs designed to end poverty and racial injustice. Blacks—some patriotic and hoping to contribute to a liberty they might soon enjoy at home, others seeking meaningful and gainful careers outside of the academe which was an expense many Blacks at the time couldn’t bear, and yet others drafted—had already represented a number of draftees only 1 or 2 percent greater than their percentage of the American population. In other words, black boys were seldom part of the population excluded from the draft—those in essential civilian jobs or enrolled in college. And some states did not have a single Black person on their draft board. Project 100,000’s goal to attract poor, undereducated young men from lives on the street or vegging on porches in backwoods towns and transform them into disciplined and respectful citizens worked inasmuch as more than 350,000 boys enlisted. 41 percent of them were African American, and there is evidence that some of the enlistees had IQs that were consistent with legal retardation. Sadly too many of them never received the opportunity to return to civilian life as disciplined, respectful, and contributing citizens. 40 percent of them were made combat soldiers and where many of that number died in combat, a large percentage of those who survived lived lives stunted by severe and untreated Post Traumatic Stress disorders. Previous postAlbert Einstein: Physicist. Genius. Race Man? OMG…this is so deep…so personal…and that’s MY HUBBY over there! 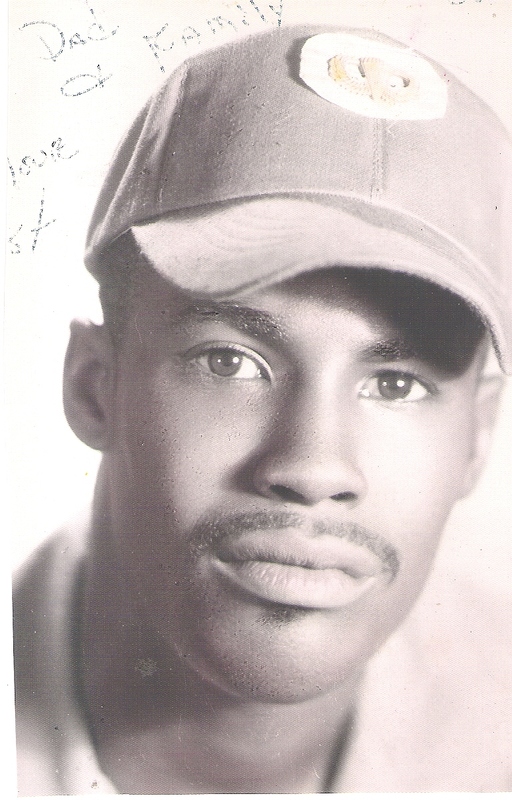 Yep, that’s him all right and although they sent him over in the WAR (conflict my foot), he was one of those blessed to return home and even with all the trauma he went through, we were able to marry, raise a family & successfully make it through some extremely rough times…this is almost a miracle, but their deviant plan didn’t work with this guy – thankfully so…Yep…the handsome creature…after 44 years of marriage I’d do it all over again!!!!! Thanks Dar – you really know how to ‘keep it real’! It took me almost a decade after the fact to meet, what you’d call him, the handsome creature, and even though I will never meet the 13 year old with the pretty teeth that walked you home from Penn’s I recognize that placing blame for that disservice is futile. But facts are facts, and what the government sanctions in times of war is something we all need to at least consider. Basically, all isn’t fair in love and war–it’s just a matter of what you can get away with.